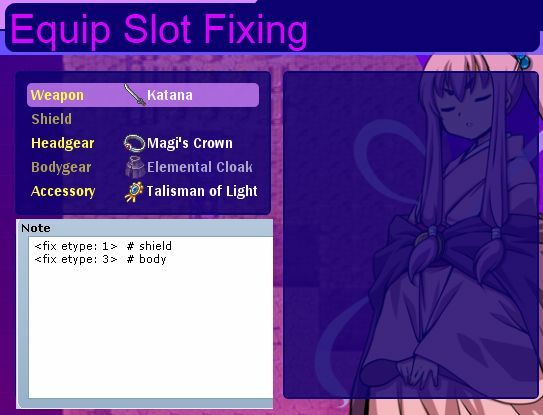 This script allows you to use note-tags to fix your equip slots. When you fix an equip to a slot, you cannot change the equip manually. This allows you to effectively prevent the player from changing certain equips. If your game had custom equip types, you would need another solution to fix those slots. How do you determine which slots to seal?